Who needs a bag when you have great pockets like these? “Indeed, lots of outfits came with no handbags at all. At the end, the audience rose in a standing ovation to pay homage to her tenure, and gold squares of confetti drifted down from backstage.Wait — hang on a minute. Almost no bags? Turning point. Told you”. True, handbags were completely absent from a number of runways for Fall/Winter 2017. 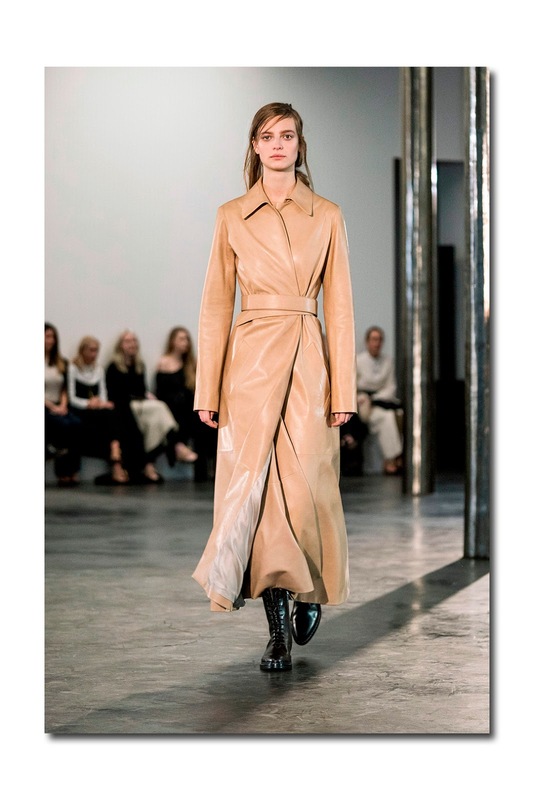 During New York Fashion Week, the complete absence of handbags at The Row served to emphasize the Olsen twins’ stripped down, pared down luxurious minimalism - no excessive details necessary. 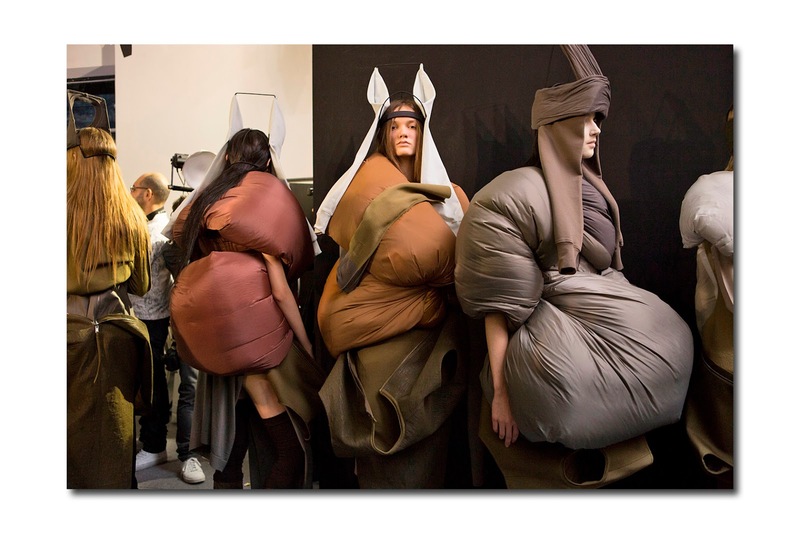 At Rick Owens’ show in Paris, there was nary a bag in sight and you would have to agree that given the unconventional, sculptural, off kilter, odd shapes and layering (that have come to define the designer), it needed handbags like I need a hole in the head lol. Saint Laurent’s Anthony Vaccarrello showed only one bag during the course of his show: an elongated rectangular clutch to be exact. It was as fierce, edgy, and pointy as almost everything else on his runway, but it appeared only 3 or 4 times in the course of the 100 piece collection (which also included menswear). And there did seem to be less of an emphasis on bags at Chanel. Don’t get me wrong, they did not disappear, and will always play an important role in the brand. But about half the models came out without one, effortlessly striding down the space age runway with their hands oft times shoved nonchalantly in their pockets. FYI, Pharrell Williams, (or "Pharrell Chanel” as he refers to himself) has been tapped as the first man to appear in a Chanel handbag ad. He is depicted in a concert hall toting a crocodile version of the new Gabrielle bag, which the house hopes could rival its classic 2.55 and 11.12 models. 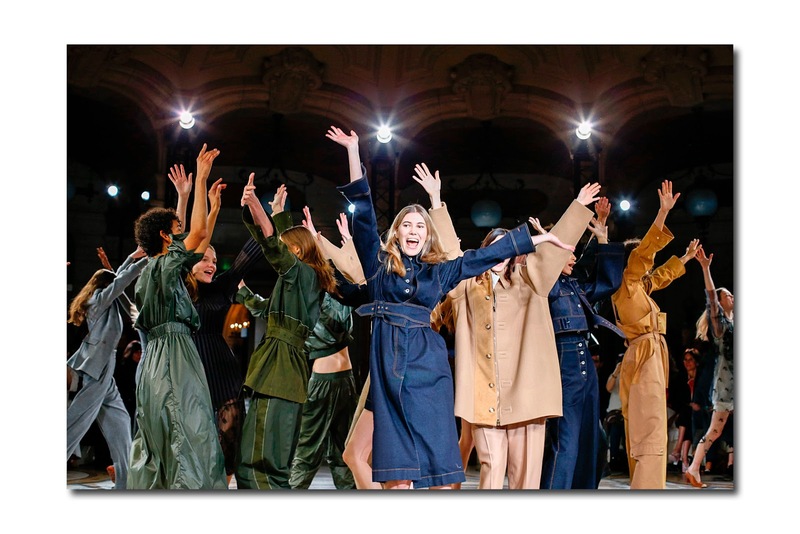 Stella McCartney used a handbag on her runway only 5 times (there were 39 ensembles); for the most part, her models were joyfully hands free. But at Celine, it was hard not to notice that pragmatic, spacious shoulder bags have now replaced last season’s daintier, more ladylike frame bags. The way the models confidently walked with the bags slung over the shoulders helped impart a no nonsense look and mood to the collection. They were assuredly statement making at Balenciaga, where size matters; they were tinier than ever, and bigger than before. For the finale, Demna Gvasalia matched his signature over scaled market totes to the nine made to order tent shaped ball gowns (re-editions). I surmised they would be just the perfect thing to wear if you are attending a gala and heading straight to a private jet which will whisk you away for a month long vacation (and you don’t want to part with your bag which contains everything you need). And the dresses are so big, they would fit someone 9 months pregnant and perhaps heading straight to the hospital to give birth. 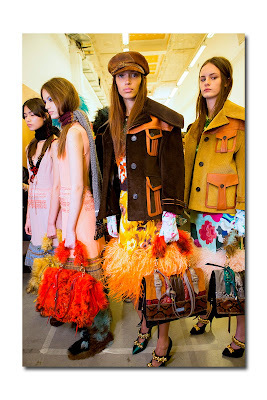 In Milan, Miuccia Prada’s bags added just the right note to her colorful, textural, highly embellished, eccentric collection, but truth be told, they almost got lost amid the feathers, furs, embroideries, pattern mixes, and hefty woolens, and were sometimes upstaged by the fabulous footwear. 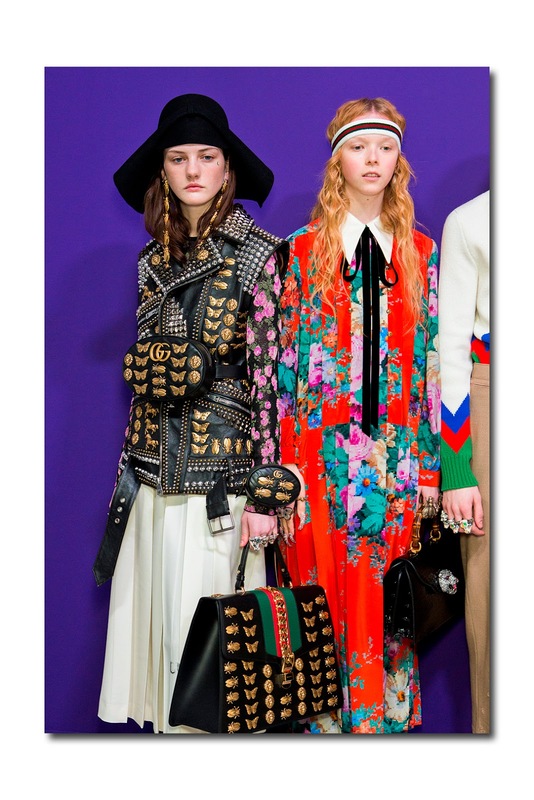 But bags were as important as the ready to wear- if not more so - at the Gucci show in Milan. 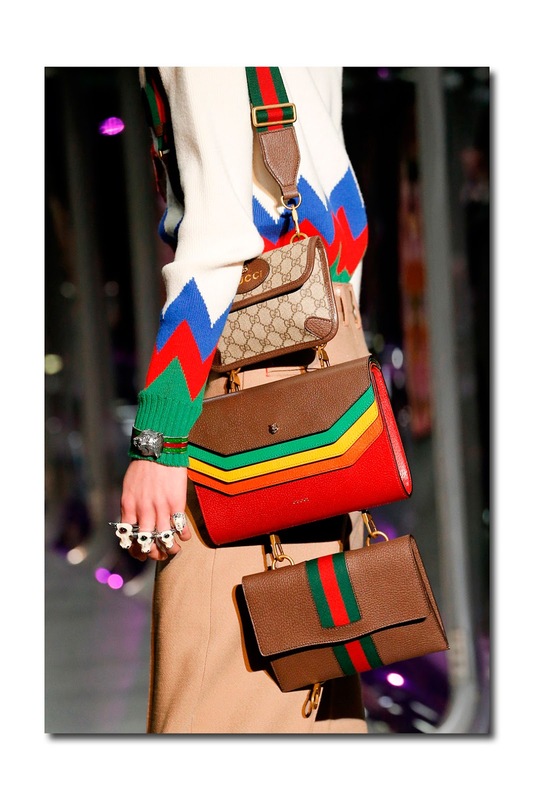 The eyes of the fashion world are always fixated on Alessandro Michele’s accessories, particularly his bags, which are integral to his fabulously decorative, imaginative, maxed out eccentricity. And this season was no exception. While a few of the 120 male and female models may have stridden empty handed down the fantastical runway, more often not, they carried bags (in multiples no less), and were simultaneously holding parasols and walking sticks. Not one but two and three bags swung around necks; a 3 pouch connector hooked together a trio of of clutches; there were fanny packs decorated with mystical hardware (in one case, a model wore a matching wrist-let AND a matching handbag); there were suitcases and suitcase sized satchels; new takes on old icons (such as the bamboo top handle); and a python handbag matched a python maxi trench coat. Pretty fabulous! Handbags still continue to drive sales at many of the world’s most famous luxury labels. In addition to make up perfume, scarves and shoes, they’re usually the more ‘accessible’ parts of the collection. You may not be able to swing for a $20,000 coat, but you might be able to afford a $3,000 bag. They continue to be objects of desire and even swoon worthy. Boy oh boy, are women attached to their bags! Queen Elizabeth is never seen without a handbag and she is probably the one woman in the world who doesn’t need one. (I hardly think she is carrying her pocketbook so that she has her credit card at the ready just in case she wants to cave in to an impulse purchase lol). Actually, according to royal historian Hugo Vickers, the monarch uses her bag to send secret signals to her staff to indicate when she's ready to move on from a conversation. Shifting her bag from one hand to the other is an indication the royal is ready to end a chat, and it's been said the Queen will place her bag on a table at events to signal that she's ready to leave. Who knew? On the other hand, Anna Wintour, arguably the most important woman in fashion, by her own admission rarely carries a handbag. More likely than not, she places her hands in her coat pockets. 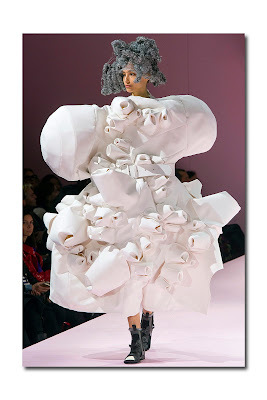 This is precisely what she did in Paris last Monday during the course of a press preview/sneak peek at the upcoming Metropolitan Museum of Art Costume Institute’s upcoming exhibition, “Rei Kawakubo/Comme des Garcons: Art of the In-Between” which runs from May 4 – September 4. 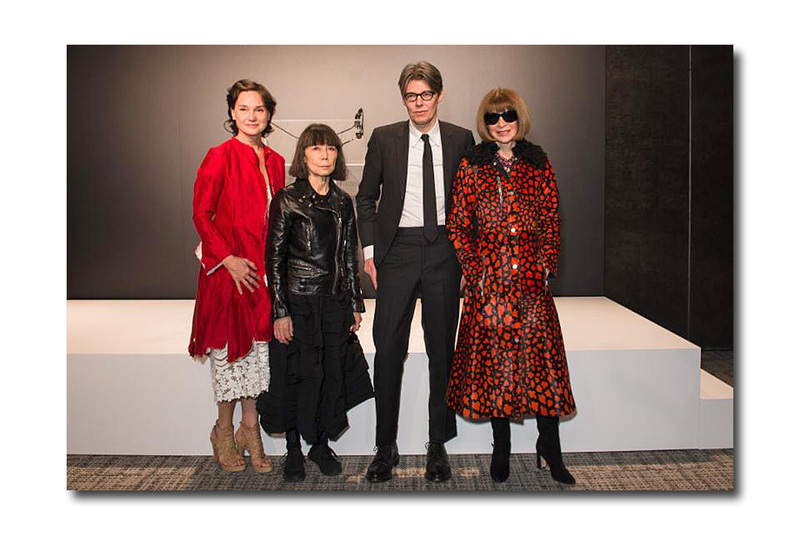 For the photo op, she stood alongside Carrie Rebora Barratt, Associate Director for Collections and Administration at The Metropolitan Museum of Art, Costume Institute’s curator Andrew Bolton, and designer Rei Kawakubo, who was also without a bag. “Comme” to think of it, you never see Rei holding a bag and I have never seen a handbag on any of her runways for that matter. It’s always about the clothes. And looking at her most recent sculptural, art to wear designs for Fall/Winter 2017, it’s impossible to imagine being able to carry one. 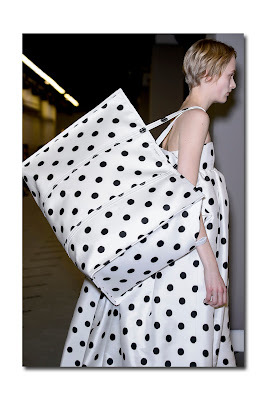 Quite frankly, I think designer “It” bags are overrated and the whole obsession with luxury handbags has gotten completely out of ‘hand’ (pardon the pun). Not to mention that many of them really weigh us down (they’re $5,000 and weigh 5 tons). During the course of my interview with Joan Juliet Buck last Thursday, she said “I can’t carry very heavy bags now. I am very attached to extremely light bags” (which is why she has given away her Chanels). 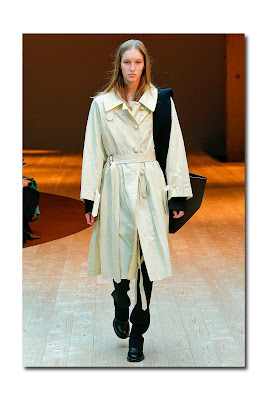 A few weeks ago, she purchased a lightweight bag at agnes b. that she said she “worships”. (Coincidentally, style icon agnes b is launching her book “Styliste”, a retrospective celebrating 40 years of her eponymous brand and she was on hand for a talk and book signing on Monday evening at FIAF’s Florence Guild Hall, http://fiaf.org/events/winter2017/2017-03-13-talk.shtml). Actually, I think that the epitome of modern is not needing to tote a bag at all; to be hands free and completely unencumbered. That is why I love pockets, and really functional, big and deep ones at that; for day and for evening, and it’s one reason I loved Kirsten Dunsts’ Oscar gown. Her Dior Haute Couture strapless black dress, based on a 1947 design, featured a cinched waist, flared hips, and two prominent side pockets (where she placed her hands). Her only accessories were her black Christian Lacroix ankle strap pumps and diamond necklace- no handbag or clutch. Her look was effortless, comfortable, and chic. Bonnie Cashin 1969 sketch Look Ma, no hands! There can virtually be no discussion of pockets without bringing up the name Bonnie Cashin, (September 28, ca. 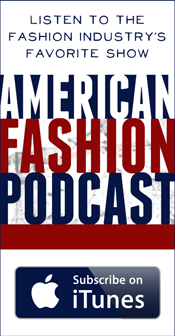 1908– February 3, 2000), the American designer who is considered to be one of the pioneering designers of American sportswear. 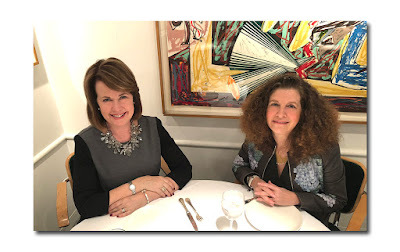 Her designs were not only fabulous and ahead of her time, they were smart and practical, which is why an exhibition at The Museum at FIT celebrating her work in 2000 was called “Practical Magic”. 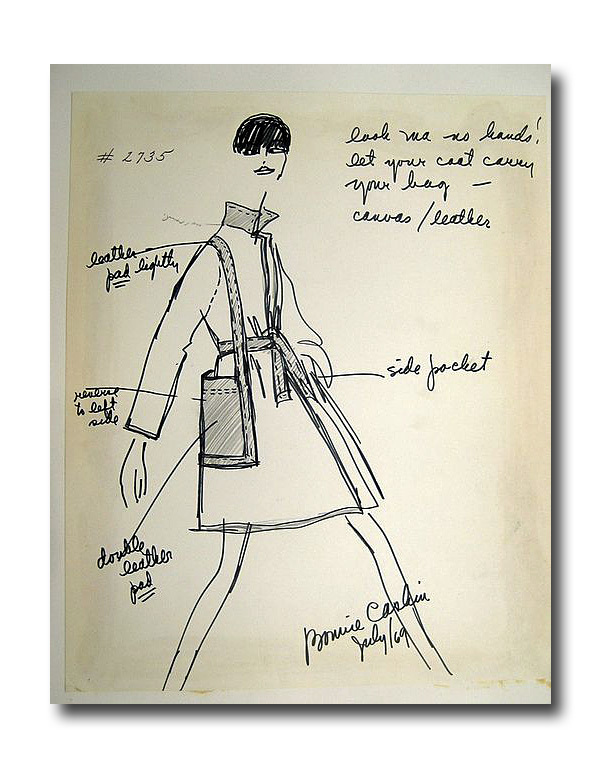 Among her signatures were coats and jackets with practical, pronounced pockets, or featuring handbags that were actually built into the designs. Looking back at the Fall/Winter 2017 collections, I noticed more than a few designers who seem to have been inspired by Bonnie’s use of capricious, practical pockets (whether they realized it or not) thereby obliterating the need to carry an extra bag. 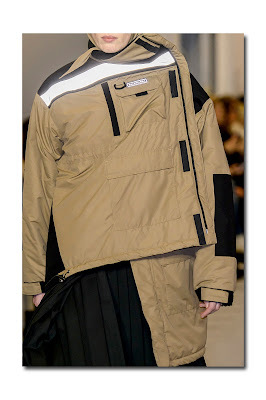 Among the standouts,in addition to Simone Rocha's terrific military inspired outerwear with over-sized army pockets (see opening shot): Matthew Williams’ reworked German police jacket for Alyx, with pockets on the front, as well as a zippered pocket on the sleeve. 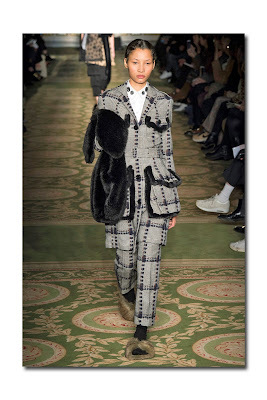 Balenciaga’s multi pocket utility jacket. 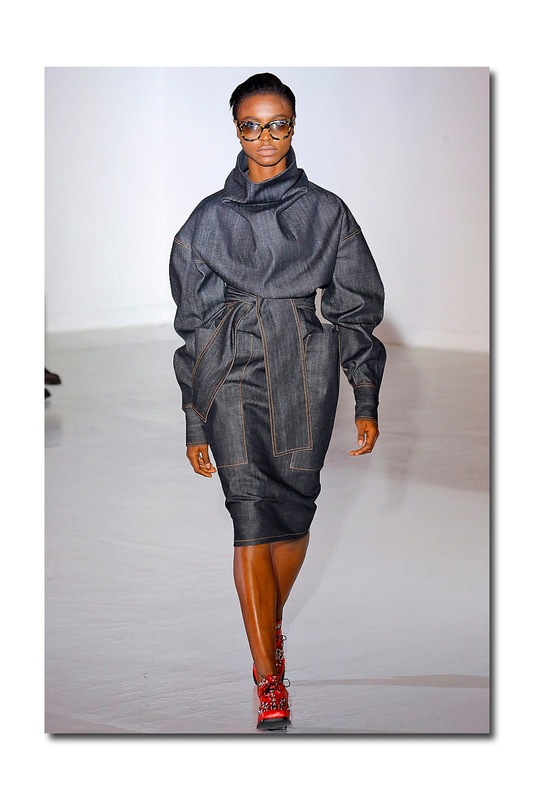 Wanda Nylon’s belted denim dress with two large front pockets. Polka dots! Love! K. // Cashmere sweaters, cardigans and scarves by Krista Elsta.